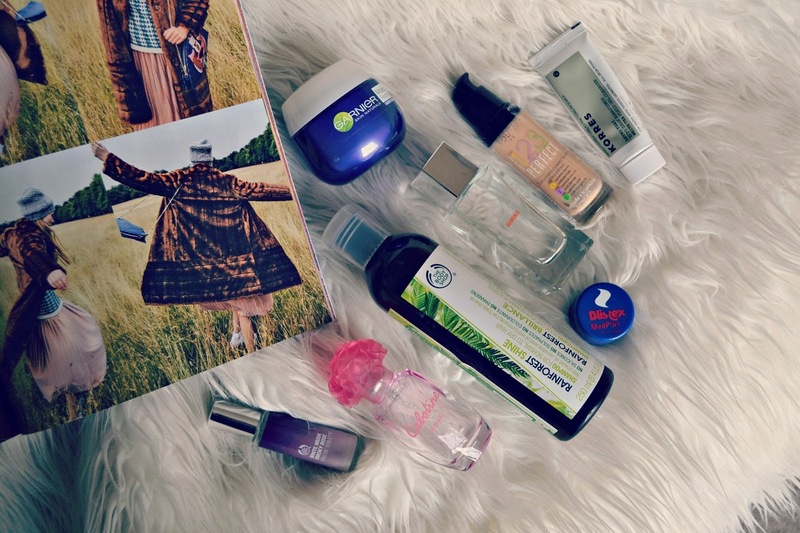 I'm not sure whether it's because it's winter, so I'm getting through products more quickly, or if it's just that everything seems to run out at once, but I've got another empties post today despite posting quite the haul in November. I included the conditioner to this Rainforest Shine shampoo from The Body Shop then, and I've now finished the shampoo, too. This was nice, but not something I'd re-buy, despite being hopeful I'd love it; I just didn't feel it moisturised my hair enough and because my hair is so long, it's something I definitely need. Only one cosmetic item this time, in the form of this Bourjois 1-2-3 foundation. I really liked this, but fear I can't repurchase as I got this on special for £5 or so because they have discontinued this shade. So annoying! I've got about half a bottle of the Healthy Mix foundation to finish up, and then I've got a whole tube of Korres BB cream, so I am pretty well stocked up on foundations at the minute. Despite being interested in beauty I don't feel the need to buy lots of different products, even though this can be tempting, so it's quite nice when I only have one of each of the products I use in my bathroom cabinet! I have also almost finished this Blistex lipbalm; possibly this is my all-time favourite go-to lipbalm, I love this and will forever repurchase it! I've got through a lot of fragrances this month, too, although most of them were almost finished before I started using them anyway! I've got to a point where I have run out of perfume, which again is quite nice as so often I've bought loads of fragrances and then never used them or not got around to finishing them off before they go a bit funny. My mum kindly gave me a bottle of one of my all-time favourite scents, Estee Lauder's Bronze Goddess, for Christmas, and I wear that all through the summer, choosing Karma by Lush in the winter months as it's slightly heavier, although I've run out of this so will need to repurchase it too! I also finished up a Body Shop Smoky Rose, another favourite of mine (which I think they have also discontinued-noooooo!) and I made myself finish this Cabotine Rose perfume which I have decided I don't really like; I love rose scents but this one is too artificial for my liking. My best friend Casey gave me this Suddenly Diamonds fragrance last year and I have really enjoyed wearing it; it's a really good dupe for Boss Orange and the scent stays on the skin for a really long time, so it's been a good daytime choice-thanks Case!